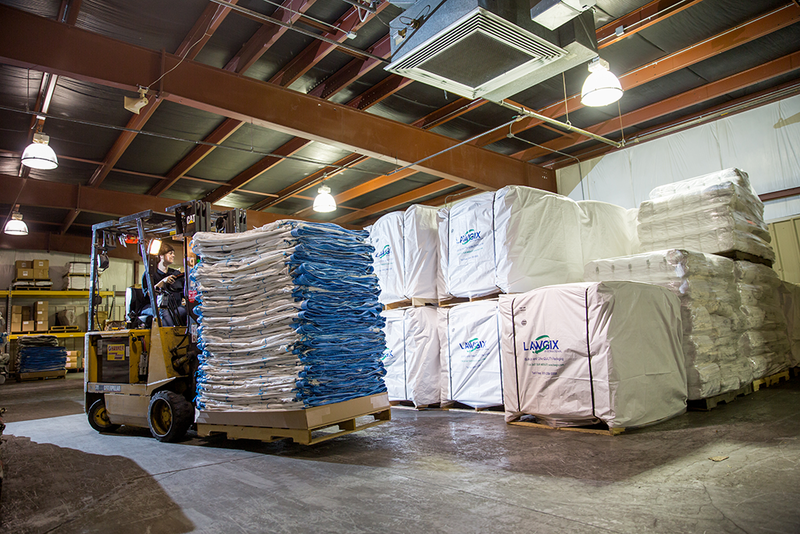 In 1993 the President and CEO of Lawgix International, Michael Lawrentz, developed a “Closed Loop” Multi-Trip program for the safe use and re-use of bulk bags. Bags for this type of program are specifically manufactured to achieve a 6-to-1 SAFETY FACTOR that allows the bags to be used in a controlled fashion multiple times. Only the highest quality polypropylene components are used in all Lawgix International bags. This not only guarantees the maximum in performance during the life of the bag but also aids in recycling after the last trip has been completed. Lawgix International’s specialized vacuum system guarantees the isolation of your bags from all other bags during the cleaning process. Each bag is inspected before and after cleaning and minor repairs are made that meet or exceed original manufacturing specifications. The date of inspection is marked on the tag of each bag. If the bag does not meet our high standards of safety, our trained personnel will remove the bag from the system and the bag and the damage will be noted in our computer tracking system. Each bag is assigned an individual serial number and bar code number that is used in a state-of-the-art database tracking system that generates a complete history of each individual bag. The bar code system also allows you or your customer to simplify inventory control, lot segregation, etc. After each loop or cycle has been completed a representative bag is tested on state of the art Labordata equipment. This process insures that even stress factors not observed by visual inspection are discovered if present. Our program has the further advantage of consolidating all the logistics of freight, cleaning, and repair to one account. Lawgix International provides all these services to complete the “Closed Loop”.